Retire in Brazil,the largest country in South America in the fifth-largest in the world, with close to 200 million people offers the retiree who is looking for a healthy economic climate a good alternative in South America. The Brazilian economy has the world's six largest GDP...behind California. Brazil is mostly tropical, with plenty of rain, and lush vegetation... the downside to the rapid development that is occurring in the country is deforestation of the rain forest...overfishing, etc. Southern Brazil offers four seasons with cooler winters. Most retirees would probably want to avoid the hustle and bustle of Rio de Janeiro... Brazil is becoming known for rapid development of new beach towns... The first thing I would do if retiring to Brazil appeals to you is get the guide to Brazil. For beach lovers, you cannot beat the northeastern coast of Brazil... recent new roads make it very easy to get around... and the real estate prices are truly spectacular. 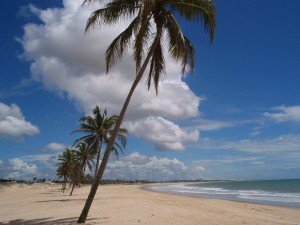 There are hundreds of miles of beaches like the above picture...Cumbuco is one of the favorites mentioned frequently in International Living magazine... it would be a great place to start. As with any foreign real estate investment, it is always much more prudent to rent before you buy... many times we see a place on vacation from a hotel or bread breakfast and feel that it would be an ideal place to live... it would be much better to rent a condo for several months and do every day things like go to the grocery store, get your mail, go to the bank, and mingle with the locals. Try before you buy applies every where not just for those that want to retire in Brazil. The national language of Brazil is Portuguese, Brazil was a former colony of Portugal... there are currently several thousand ex-pats rushing to pick up the bargains offered, in Brazil especially on the northeast coast so you will not feel like a total outsider not speaking the language but it's always a good idea to learn at least the basics of the native language. Brazil is known to outsiders for its passion for football, what we call soccer, and celebrating Carnival... enjoying these two activities would certainly not require fluency in Portuguese. A retiree should be able to live quite comfortably on $2000 a month or less... this would include domestic help, eating out and entertainment... you could always do it for less but to get much cheaper would require a basic knowledge of Portuguese. $2000 a month would do quite nicely in the very desirable northeast beach communities of Brazil. 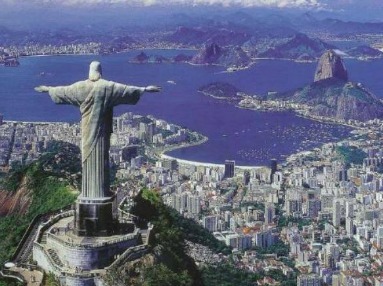 Return from retire in Brazil to retire overseas for other international retirement opportunities. Here is a direct quote from the current issue of the magazine below... you should get it..." my monthly budget of $1650 covers everything"... that's cheap living folks.